Natural fancy color diamonds are not only stunning, but also incredibly rare. In fact, only one of every 10,000 diamond carats that are mined is that of a color diamond. Though they are few in comparison to their colorless counterparts, color diamonds are found in nearly every corner of the globe. Read about the most frequently asked questions about colored diamonds. 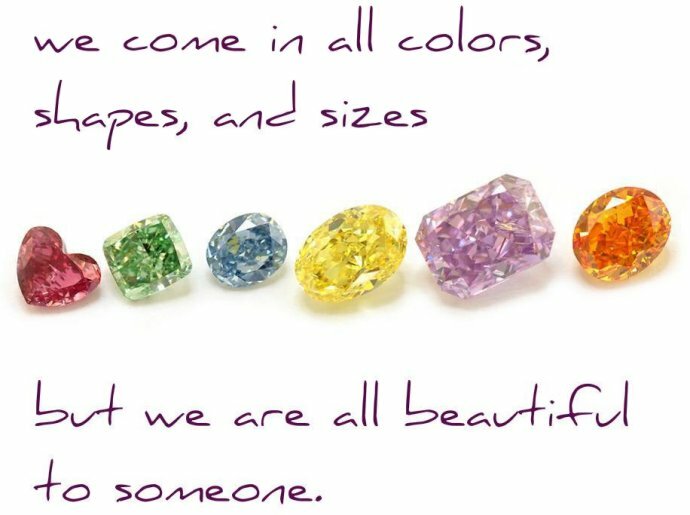 From Australia to Africa to Siberia and India, color diamonds are mined all around the world. Here is a breakdown of the various countries where different color diamonds are found and a little information regarding the mines responsible for uncovering them. Let us begin with one of the more commonly found color diamonds: the yellow diamond. This joyous colored stone is found primarily in Africa, including Angola, Central Africa, Congo, and Sierra Leone, but has also been discovered in Brazil, Australia, and Borneo. The Ellendale mine in Australia was known to produce about half of yellow stones in the market, but it appears they are no longer operating this year since they suspended operations back in July 2015. Mostly cape diamonds and low grade colorless stones are found in Angola, but every once in a while the news comes in of a pure yellow diamond discovery of something with a significant size. Central Africa produces very few diamonds, but among those stones are some yellow rough. The Congo is a great example of how more does not necessarily mean better. 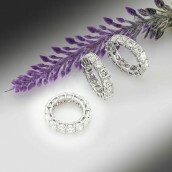 The country produces a great deal of diamonds, but most of them are low-grade industrial stones. However, every now and then, important finds are made such as yellow diamonds with a strong hue, and even orange and brown diamonds. Lastly, Sierra Leone's diamond production is an essential part of the country's economy. With an annual production average of over 400,000 carats, more than half of that number (over 200,000 carats) was considered gem quality. That is an astronomical percentage. In fact, Sierra Leone is such an important player in the yellow diamond industry that one of its mines, the Zimmi mine, coined the term 'Zimmi Yellow,' after having produced some of the most extraordinary vivid yellow diamonds with the highest levels of saturation on the planet. Borneo mostly has yellow and brown diamonds, and Brazil finds plenty of yellows and browns as well, but has a reputation for producing lower quality stones. 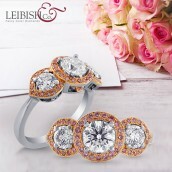 Pink diamonds do not need any introduction, as they are extremely popular and loved by all due to their unique soft hue. Read about the most frequently asked questions about pink diamonds. It is believed that roughly 90% of the world's pink diamonds are found in Australia, in the famous Argyle mine. That mine, however, produces other diamonds as well and yet is mainly known for its pink stones. Borneo, Brazil, and sometimes Central Africa are also known to produce the beloved pink gemstone. 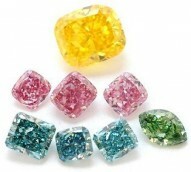 Borneo mainly produces brown and yellow diamonds but can also occasionally produce green, pink, and blue diamonds. Brazil also mainly produces brown and yellow diamonds, but their stones are known to have a florescence that gives the diamonds a greenish color. In addition to the more commonly found brown and yellow diamonds, Brazil sometimes produces very rare red, green, blue, and intense pink diamonds. The main types of diamonds found in Central Africa are yellow and black diamonds. However, sometimes there are rare pink, blue, and green diamond finds. The Argyle mine in Australia may be famous for its pink diamonds, but the mine also produces a fair number of smaller blue diamonds. 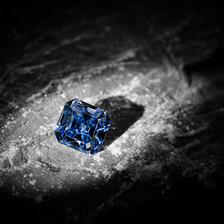 Blue diamonds are not often found in Borneo, but can be some of the rarer Borneo diamond finds. Brazil and Central Africa also don't generally produce blue diamonds, but when they do, are known to produce noteworthy blue diamonds. Though India is not well known for its blue diamond findings or its mines, it is the country responsible for two of the most famous diamonds in the world: the Hope Diamond and the Wittelsbach-Graff Diamond. South Africa is home to the Culinan mine (owned by Petra Diamonds), previously the Premier mine, the most important producer of high quality natural blue diamonds in the world. Known for its diamond production in general, South Africa is now almost synonymous with fancy blue diamonds. The uniquely colored diamonds are found in Congo, which is mostly known for producing low-grade diamonds, but can also produce deep yellows, oranges, browns, and combinations of the three colors, here and there. Another commonly found color diamond; brown diamonds are mined in Angola, Borneo, Brazil, Congo, and Australia. In Borneo and Brazil, brown diamonds are some the most commonly mined diamonds whereas in Angola and Congo brown diamonds are considered rare finds. Australia, or the Argyle mine for that matter, is famous for its pink diamonds but actually supplies the world with a great deal of its champagne brown diamonds. Aside from its famed pink diamonds, the Argyle mine in Australia is known to produce a great deal of brown diamonds, as well blue, red, and even purple diamonds. However, the winner of the "main purple diamond producer" title goes to Siberia. Black diamonds are mainly found in Central Africa, which doesn't have a big diamond production to begin with. Most of its production is black diamonds and yellow diamonds, but pink, green, and blue diamonds have been found there as well. The origins of the main color diamond colors have accounted for almost every continent, but there are also diamonds found in less common locations such as Canada and the United States. That accounts for six of the seven continents, which says a whole lot. Given the fact that the various diamond colors are caused by a variety of natural elements and factors, it is understandable that each type is typically found in certain regions. Every region has its own type of 'material,' which essentially refers to the compound elements most common in the ground of that area. With the diamond supply at currently operating mines in a state of decline, it is possible that the constant search for additional diamond deposits will result in even more color diamond locations.